Neutral Milk Hotel sold out two-night run last Friday, their first in Chicago since their hiatus. 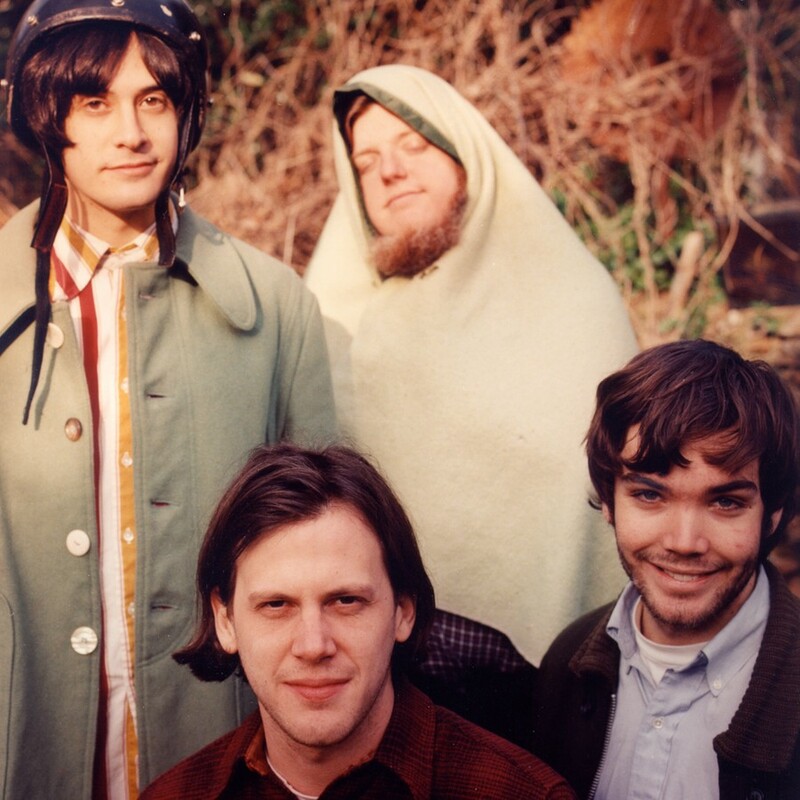 As if he were some sort of mythical creature, Jeff Mangum, the lead singer of Neutral Milk Hotel (NMH), has been labeled indie rock’s Salinger, Bigfoot, and possibly its greatest deity. (Insert spooky noise.) After seeming to depart from earthly existence for 15 years, he (He?) left behind a void fruitlessly filled by indistinguishable feature stories that eulogized the band of mythical misfits, each of which feared that said misfits would never return again long enough for someone, anyone really, to get an updated photo for the press releases. Come to think of it, even the opening of this article sounds a lot like the introduction to an extra bizarre Where’s Waldo? picture book. And yet after reaching most of its popularity in absentia, NMH is back for a reunion tour. But the old rules remain: “No cameras, no phones. Let’s just be here together,” Mangum said. NMH played two sold-out shows last Thursday and Friday at the Riviera Theatre as one of the stops on its global reunion tour alongside fellow Atlanta, GA band, Elf Power. Opening with “King of Carrot Flowers Pt.1,” Mangum seemed to confess to every particular audience member that “This is the room/ one afternoon I knew I could love you.” In that room, everyone knew they could forgive his absence and love him too. Okay, so maybe everyone was getting a tad emotional. However, we can all appreciate the fact that the sold-out theater was packed with people fangirl/boy-ing over these scruffy oddballs holding horns and saws rather than freaking out over the B word (i.e. the Bieber). With “Two Headed Boy,” Mangum gave more instructions as he sang or possibly screamed for everyone to “Dance, round the room to accordion keys/ with the needle that sings in your heart.” He shouted as if trying to reach the audience from an unidentified place in the universe 15 years prior. The mystery and context of this show was not lost on him. The solution was to amplify his voice, as he made sure that any remaining dust was knocked off for good. It can be said that one’s mystique is part of his or her charm, but for Mangum, his mystique is his charm. As he played guitar next to his wife (the woman who some say helped him get back onstage), dressed in what I’m pretty sure is the same sweater he wore on the original 1998 In the Aeroplane Over the Sea tour, it was hard to decide if the experience was profoundly nostalgic or supremely of the moment, a conundrum that made the evening into the enigma we all hoped it would be. After having seen Mangum’s solo performance last year before the other members of the band returned, I could sense a palpable difference in the atmosphere. The band was complete onstage for most songs, leaving Mangum alone, and sort of in his element, for only a few ripping solos. Even during his period of silence, Mangum earned a reputation for vocals and strumming unlike anything else, but surely Julian Koster playing the singing saw (even a banjo at one point?) with a bow has no obvious precedent. The concert was general admission, which allowed most of us in the standing area to dance to “Gardenhead” like we had only done hiding in our bedrooms during our senior year of high school (you know you did too). Let it be known: Koster does indeed wear the misshapen blue beanie that we have all come to admire. At times, the quintessential NMH attire and ensemble seemed to tell us that the musicians were bygone relics of the past, a theory that was almost confirmed by both the absence of any new material and the limited conversation between the members of the audience. The only words on the menu that night had been crafted and preserved all the way from 1998.